In december 1968 with Peter Eden producing I made my first record on a major label for Pye Records. It was released in January 1969. We then made four more together for Dawn , Pye’s ‘progressive’. label. Mike Cooper’s third album for Dawn/Pye was to have been a double album, one which revealed his country-folk side, and the other was his rock-jazz/freak-out side. 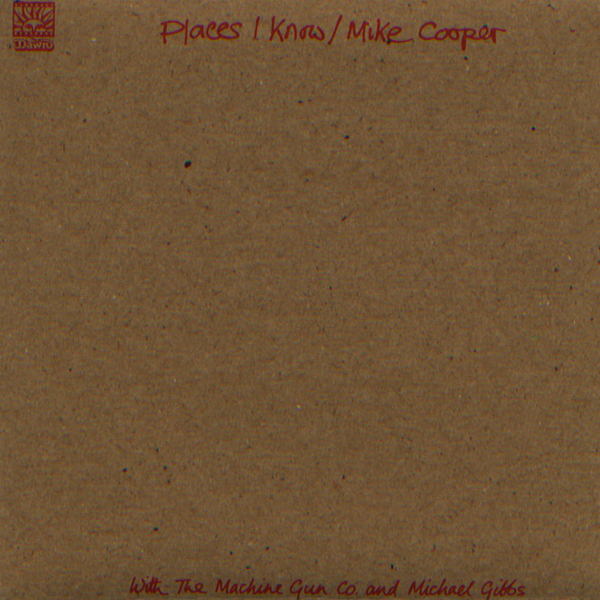 Management decided to issue Places I Know first, and withheld the release of its second half (and the original title for the entire project), The Machine Gun Company , for two years. Fans of early- to mid-’70s West Coast Americana – Randy Newman, Jackson Browne, Neil Young, Tim Buckley, Gram Parsons and the Flying Burrito Brothers, and Bob Dylan -circa 1965-1969 – will have little trouble finding the majority of this album thoroughly enjoyable. Tracks such as “Night Journey” are almost apes of “Just like Tom Thumb’s Blues” – the only time in Dylan’s recording career that he ever directly copped from another songwriter; we could argue all day about where Dylan ripped the melody off from, but it’s pointless. Cooper here apes the lyrical style and even the tone of the piano. 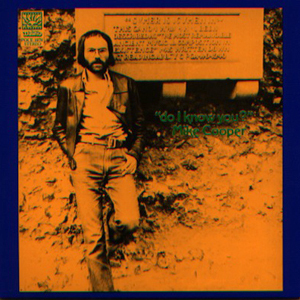 However, it’s of little consequence since the rest of the disc is a gorgeous blend of acoustic and electric guitars (with wah-wah pedals pumping), bleating RB saxes, and psychedelic British country music. Notable tracks – and based on the above you already know what they sound like – are “Goodbye Blues, Goodbye,” the title ttack, and the amazingly heart-rending country blues “Paper and Smoke.” Places I Know stands alone as a wonderful collection of songs, but listened to along with The Machine Gun Company, it is an introduction to another dimension of Mike Cooper. While the album is different from his previous Dawn/Pye recordings, it’s not that much of a stretch musically from there to here. From Places I Know to The Machine Gun Company is a huge leap within the same recording session. Places I Know is a tender, moving, and frightfully solid set – it’s a goodbye, in a way, because Cooper would never make a record remotely like this again. 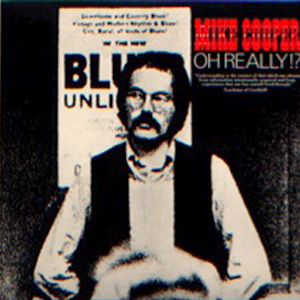 Mike Cooper’s final release for Pye was an acrimonious one. 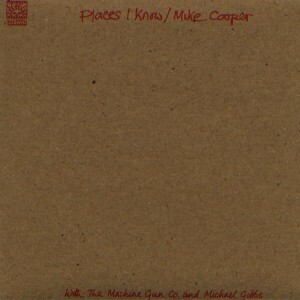 Machine Gun Company was originally to be a double album, with Places I Know being the first disc. That album was released a full two years earlier, with Machine Gun Company being held in abeyance all the while. The delay put a huge burden on a touring band with no new record to support; they split before the release of Machine Gun Company. 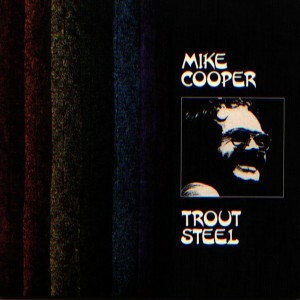 Cooper waited out the final two years of his contract and didn’t record again until 1975 for the Fresh Air label. lt’s too bad that Pye didn’t have the foresight to issue both albums as one package (a BGO CD-reissue placed them both on one disc in 1998) to reveal the true breadth and dimension of Cooper’s musical ability and ambition. There are only five songs on Machine Gun Company. 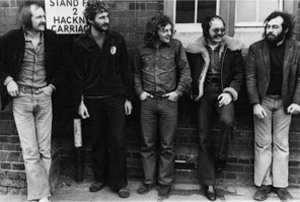 They range from the pastoral, traditional folk of ‘The Singing Tree”; to the avant -country-reggae lilt of “Song for Abigail,” that was as ambitious (at nine-plus minutes) – if more overtly melodic – as anything on Tim Buckley’s Lorca; to the 15-minute Velvet Underground-meets-Sun Ra /rock/ free jazz workout that is “So Glad (That l Found You).” And white these references are largely useless in trying to describe this music, they are significant mapping points for Cooper, who was deeply influenced by all of the aforementioned artists. The album has a rough, raw, organic feel to it that none of his other recordings have; they exist starkly in contrast to the nine songs on the first half (previously known as Places I Know). The free-for-all quality of these recordings; their loose yet defined song structures; and their compositional frameworks, represent for Cooper the opening of a musical world so wide that all boundaries between the music in his subsequent recordings would be erased completely. 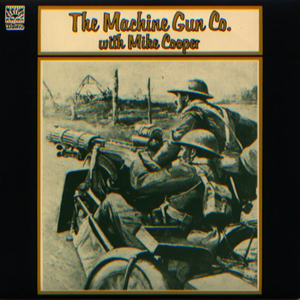 Machine Gun Company was not simply an experiment that worked; it was a work of art that experimented with the idea of music being one vast universe with song being its poetic and foundational heart. This disc is easily Cooper’s greatest musical achievement.